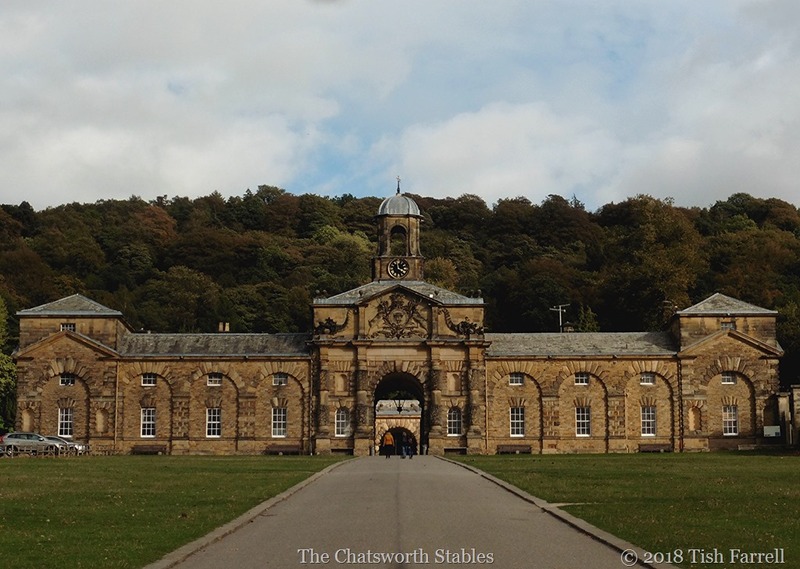 Posted on October 16, 2018 October 16, 2018 by Tish Farrell	This entry was posted in Family History, Heritage and tagged Callow Farm, Cee's Fun Foto Challenge, Chatsworth House, Derbyshire, Dukes of Devonshire, Mary Ann Fox, Tish Farrell Writer. Bookmark the permalink. Glad you’re enjoying these posts, Lynn. I get the impression Sheffield folk have laid claim in a big way – the moors were alive with humanity on weekends. It’s great people can get there by bus; handy bus stops everywhere. Funny, isn’t it? How people from out of an area lay claim to it. At Weston Super Mare, it seems to be mainly the Welsh and Brummies that visit – those same accents everywhere! As always, it is fascinating to read your historical descriptions, Tish. Somehow you have the ability to make it all come to life for the reader. Loved it! I know it’s impressive, but the older I get, the less impressed I am by gigantic houses that look like no place I would want to live. There’s something so cold about them, so un-cozy. Maybe it’s just me, but I can’t imagine living in a place like that. It looks like an institution. A very well planted one. I like the stables better than the house. Wait till you see the inside. I was quite infuriated by the time we’d finished. The whole edifice built to impress and lay claim to acquired and unwarranted status. Many thanks. Glad this hit the spot. Classic Tish yarn. Loved it. Classic me – feel like an old jalopey. I meant in the nicest sense – that of your ability to tell an historical tale and enthrall. No casting aspersions whatsoever. I didn’t think you were, dear Ark. Thank you for all those kind words. What a marvellous history lesson and I love that your family had a very small part in it. Do I take it that the buttons are now a thing of the past? 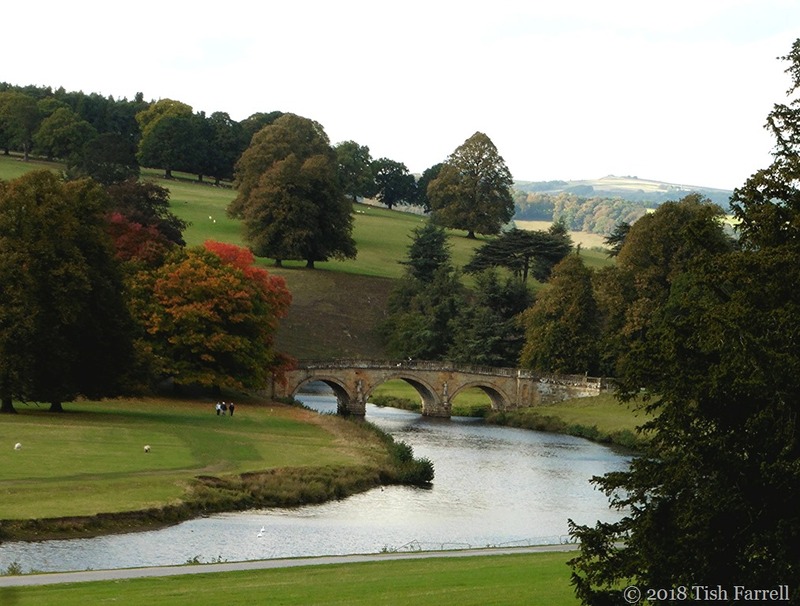 Although I enjoy visiting NT places – mainly for the gardens – I find that I get more and more annoyed about the huge social gap between the classes in the past and the arrogance of the aristocrats (even now!). How impertinent they are to want to move an entire village just because it spoils the view! We feel the same about NT properties. They usually omit to say how the wealth was created, stealing being quite a common source; slaving or slave ownership never mentioned. And yes, impertinent moving of village indeed – though this was very common at that time. Also making tunnels around the park so they didn’t have to see the workers. Sadly the buttons have gone too. Such a shame about the buttons, but good that you have the history. £21 per adult plus £4 parking if you didn’t book on line. The only reason we took the plunge was because we knew we wouldn’t do it again. On the other hand, you could have spent an entire day in the park and garden. And it took 2 hours to go round the house, and we weren’t dawdling. And it did open my eyes to the senseless greed and need to display it enjoyed by some members of the human race. Which was the point when I grew very ratty with the whole thing. 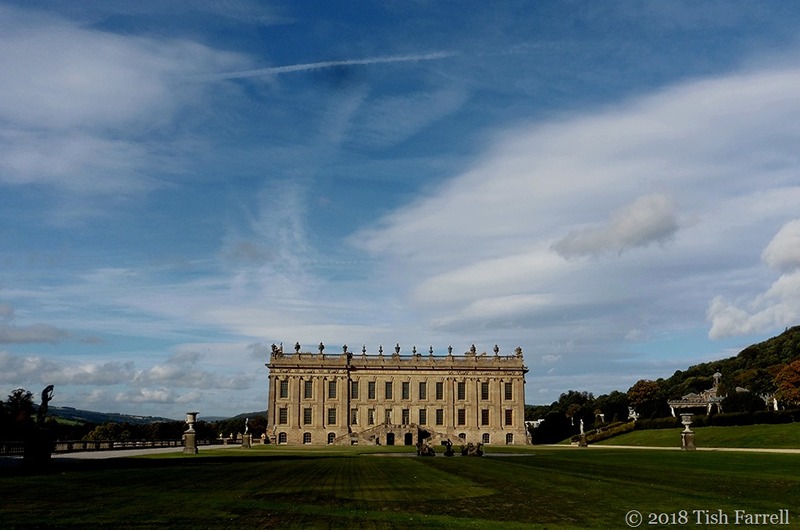 Yes some of these stately houses are a bit much. The Holkham estate here in nth Norfolk for instance, where I went bird / butterfly watching yesterday they charge £3.50 for two hours or £6.50 for four hours parking near the beach/woodland. The only alternative is to park nearly two miles away! I dare say it helps conserve places from over-use, but it’s being cut off from the landscape in the sense that someone else is dictating terms that I find frustrating and sad too. Not really saved from over use, in the summer/ holiday periods you can hardly get near the places for people! It’s one of those ‘must be seen at spots’ the Chelsea- on- Sea set adore so much. The estate must make an absolute fortune in parking fees alone. A few years back and this time of the year and it was free. I hate to go bird watching knowing I have to return by a certain time and the car parks are strictly monitored. Wealth and power do seem to corrupt, in every epochand every place. Like many, I’ve lost any ability to be impressed by privilege and opulence. I am intrigued by your comment about the interior now!! Just you wait! Though my camera work was not really up to the challenge. The setting is wonderful. And we found some fantastic modern art in the garden. This was a fascinating read Tish. Instead of a BBC period drama I got a glimpse of the real thing. The wealth beggars belief. And the moving of entire villages for a better view! – breathtaking entitlement. 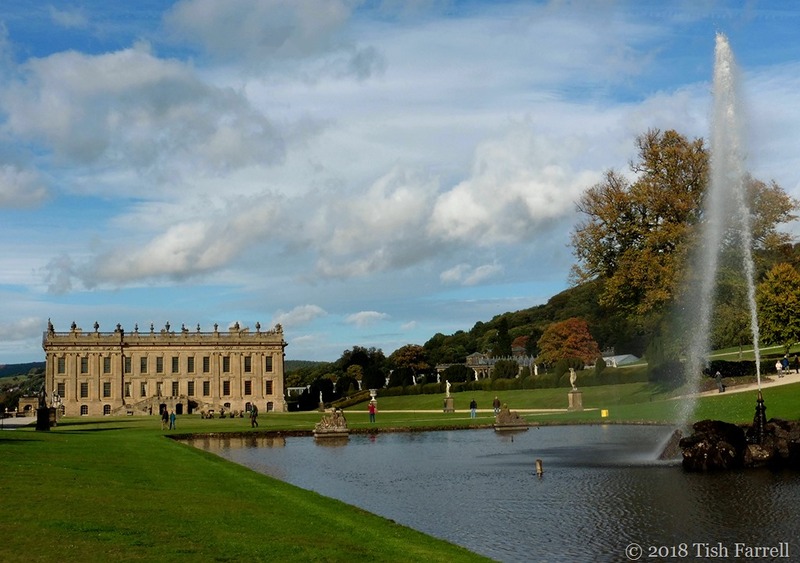 It must have been an amazing life being one of those people who lived at Chatsworth in those days. Many thanks, Alison. They certainly were extraordinary times in terms of wealth display. The gentry moving inconvenient villages was quite a common activity too. 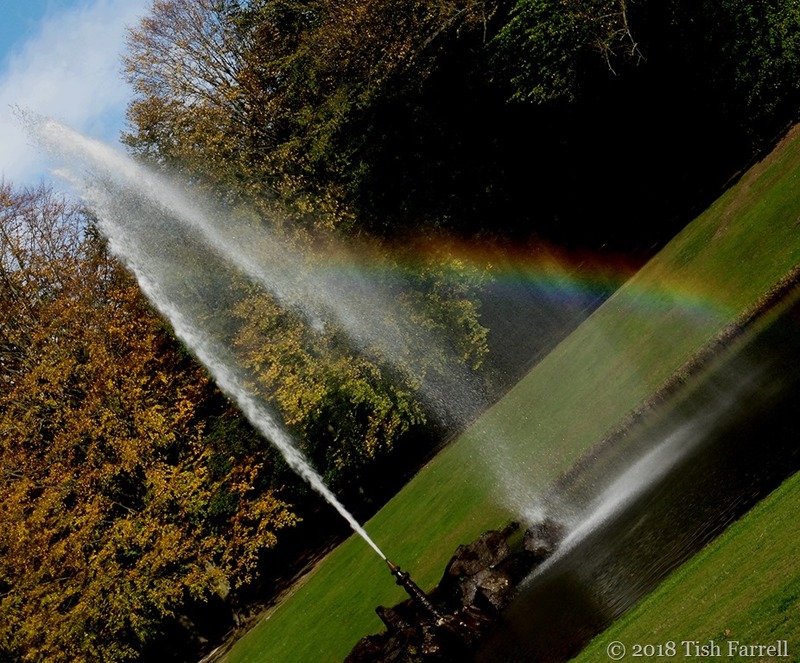 It happened everywhere in the 18th century with the creation of the great parks around grand houses. Unspeakable lot really. Now the rich hide their money in tax havens so we can’t see it! Imagine moving a whole village because it spoils your view..! I know, Dries. 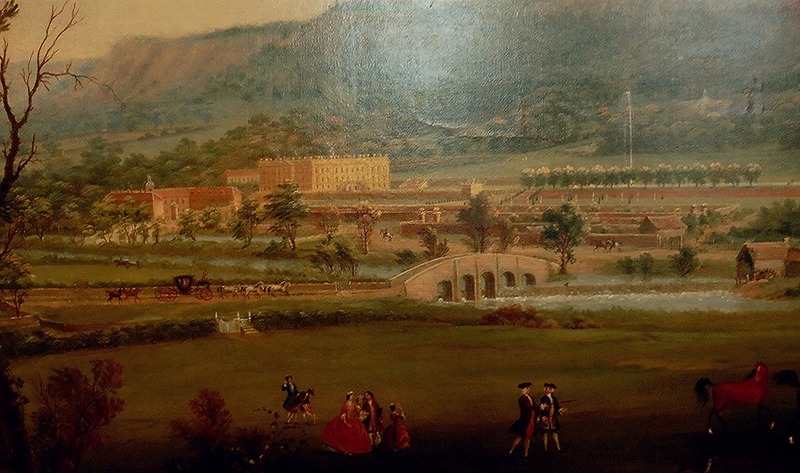 It was dreadful, and as I’ve said to others here, it was common practice at the time, not just at Chatsworth. Thanks, Mak. It’s interesting how we hoi poloi make willing pilgrimages to the palaces of the impossibly wealthy. A great tale of a legacy of greed, corruption, tenacity and I’ll-gotten gains. I think they probably leave our business leaders and politicians looking like learners in the corruption stakes. I wonder where the buttons disappeared too and how excited your ancestor Mary Ann must’ve been to be the chosen one. I do admire Elizabeth Barley, wow 8 children and 4 times married as well as all the building projects. Quite a woman before her time. I do so agree about the ill-gotten gains, Pauline. And yes ‘Bess of Hardwick’ – of humble origins yet became the most powerful woman in England next to the queen. Great post. Can’t wait for the next installment. Fascinating post, Tish. I love the “backstory” of the monastic land. Is it debated whether Henry VIII wanted the papal assets as much as the ability to re-marry when he broke with the church? I think it was perhaps more opportunism after the event than original intention. He certainly needed cash. I read that it was Cromwell’s idea that the monastic wealth should go into the Government Exchequer. Henry, however, wanted it to build coastal defences against the invasions he was expecting. Also doling out former monastic estates to secure courtier loyalty was also handy for an increasingly paranoid monarch. I so enjoyed this peek into history, Tish, and your family’s intersection with this national treasure. I am looking forward to hearing more about your perception of the inner rooms. 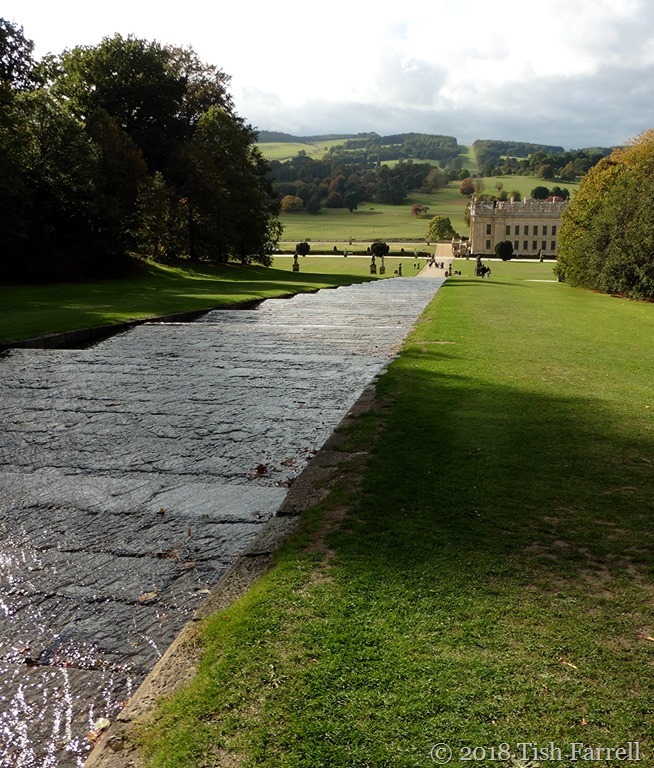 How lovely of you to come with me to Chatsworth, Naomi. Interiors will be posted today maybe. Fascinating as always, Tish. I have to admit that I do love a good castle or palace, perhaps because we don’t have much that is similar in the US. I think Americans tend to be enthralled by such “piles.” I have read a wonderful series of mysteries about a lawyer, Matthew Shardlake, who works for Cromwell (not willingly) during the dissolution of the monasteries. I learned so much about the period. The author’s name is C. J. Sansom. I recommend them. Looking forward to next post. Many thanks for the books tip, Marie. It’s a fascinating period. Many thanks. You have a great blog too. A marvelous chapter of history… maybe a few chapters, and all the more charming knowing that you and your forebearers lived in the same vicinity, and you represent them so well. We all have a chance at life, and as most know, wealth is no guarantee of success.